Yaakov Stern is Professor of Neuropsychology in the Departments of Neurology and Psychiatry, as well as the Taub Institute for the Research on Alzheimer’s Disease and the Aging Brain, at Columbia University College of Physicians and Surgeons. He is chief of the Cognitive Neuroscience Division of the Department of Neurology. Dr. Stern’s research focuses on cognition in normal aging and in diseases of aging, particularly Alzheimer’s disease. One strong focus of his current research program is investigating the neural basis of cognitive reserve. He is also conducting a large scale imaging study to identify unique neural networks underlying the major cognitive abilities affected by aging, and a study developing models to predict the clinical course of Alzheimer’s disease. 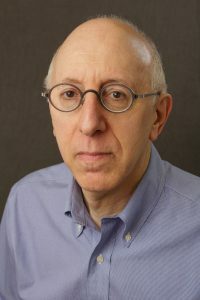 Dr. Stern’s research approach includes classic neuropsychological and cognitive experimental techniques, with a strong focus on neuroimaging. He has published over 550 peer-reviewed papers, numerous chapters, and edited a book on cognitive reserve.